If you are not a big fan of coriander, swap it out for some dill. Tabasco sauce can also be substituted by regular tomato sauce or ketchup if spicy is not your thing. Use cooked peeled prawns for ease of preparation – all the hard work has been done for you. To prepare the eggs: using a sharp knife, cut off the top quarter of the egg with shell. Scoop out the egg into a bowl and mash with a fork. Add mayo, curry powder, sauce and chopped herbs. Mix well. 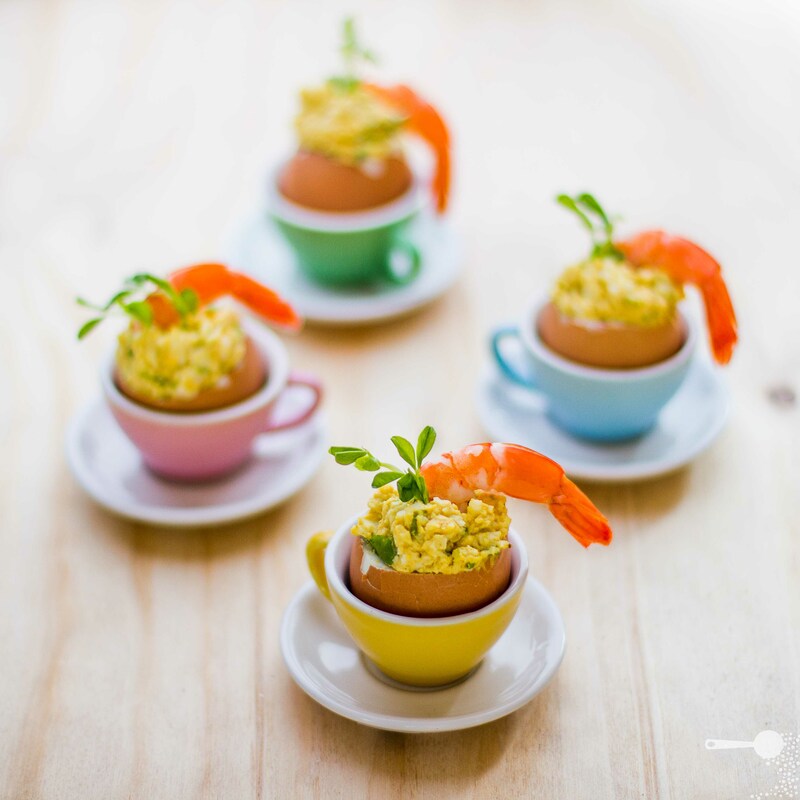 To serve: spoon egg mixture back into the shells and wedge in a prawn. Decorate with some trimmed snow pea sprouts.